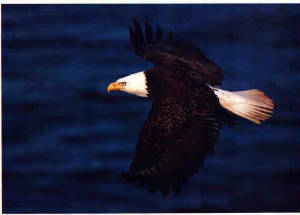 U. L. Eagles Christain Ministries ( Yoshi Do Jujitsu )&(Exercise) And Bible Study . Welcome Everyone To the Yoshi Do Jujitsu Site ! Hello I am Minister & Sensei Rusty Church 9th Dan . Here you will learn about God and His Word. You will also learn the Art of self Defense Yoshi Do Jujitsu a style Church Sensei is Soke & Founder It was developed for all who wants to get & stay in shape & defend theirself, Which consist of Shotokan karate,American Free Style Karate, Jujitsu, Aikido, Ju Chikara Do & Judo, And we have added wresling moves to it.You will learn the grace & power of the eagle & learn the power, speed of theTiger & Lion.Combat fittness & sound mind & body.Hard Style.A great exercise class to get in shape & stay there! Yoshi Do means continue in the gentle ways of life. Which is Jesus, treat & talk of others as you would have them you!! We will except some cross ranking in other jujitsu styles with proof of your present rank.Up to a 3rd Dan with Sensei Church`s approval. You will be sent one of our certificates. 8 by 10. Our Belt Ranking is White, Yellow, Blue, Purple x3 Green x3 Brown x3, Brown Blackstrip, Black 1-10, 3rd Dan - 6th Dan may wear a Red & White strip Belt or a plain Black Belt.7thDan - 8th Dan Red & White checked Belt or Black Belt. 9thDan & 10thDan Solid Red or a Black Belt with a Red Strip.. This outreach is located at sabine W.V. at the Upper Laurel Fire Department. I thank God for upper laurel for helping us in this community action in helping the youth of our community. We help the community by showing love and teaching discipline. Teaching the Word of God and inplanting it in our youth and adults hearts 30 to 45 minutes before each class, and teaching self defense. .Our students come from differant church in southern W.V. also. We are members of the U.S.M.A, A F.J. & We believe we all need to do our part to win our community back. God bless each one of the students and the people standing behind us . We have 6 Black Belts Rachael Church 2nd Dan Yoshi Do Jujitsu & Ju Chikara Do Trainee Instructor , Karina Stapleton 1st Dan Yoshi Do Jujitsu & Ju Ckikara Do Trainee Instructor, Chris Tolliver 2nd Dan in Ju chikara Do,1st Dan American Free Style Karate & 5th Dan Yoshi Do Jujitsu & Jeremy Tolliver 2nd Dan in Ju Chikara Do & 3rd Dan Yoshi Do Jujitsu, .Kristy Hash 2nd Dan Yoshi Do Jujitsu & 1st Ju Chikara Do .Dina Duncan 2nd Dan in Ju Chikara Do & Yoshi Do Jujitsu & Philip Dehart 4th Dan Yoshi Do Jujitsu,& 3rd Dan American Free Style Karate. They are all Asst: Insturctors In Yoshi Do Jujitsu. And been certified threw the martial arts ministry to teach. We are a non-profit ministry. LET THE RED, WHITE, & BLUE FLY HIGH & BE PROUD OF IT. We hope to keep you updated on any information. Our Martial Arts Outreach was started in August 10th of 2001 which is located in Ravencliff, West Virginia at the Upper Laurel Fire Department. We started with approx. ten to fifteen students and we now have been blessed with 20 students more or less & at camp up to 35 . Sensei Church has studied Martial Arts & working out for approx. thirty years. 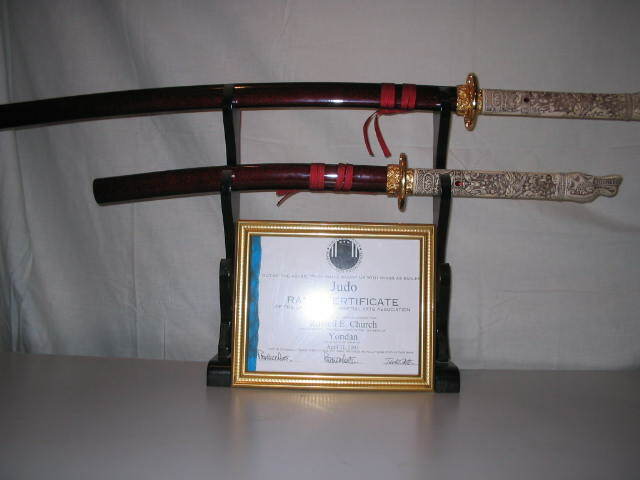 Started in nov, 1975 in the military studing Hand to hand, Judo & jujitsu,& close quarters combat. I also did a little Boxing While I was in the Army also. I also wrestled in high school. Sensei Church was graded by Sensei Sherwood Brown 5th Dan in Ju Chikara Do of Beckley W.V. in Aug 01. 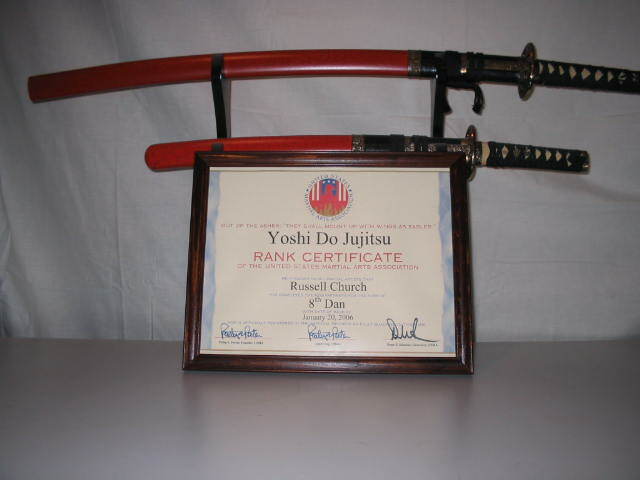 Church Sensei developed & founded his own style Yoshi Do Jujitsu it is registered with the U.S.M.A. & A.J.F. He holds the rank of 9th Dan, He combines Shotokan,American Free Style Karate ,Jujitsu, Judo, Aikido,& wresling together as one art. Church Sensei is ranked 4th Dan also in Judo & 4th Dan Jujitsu by the USMA. & 1st Dan in American Free Style Karate, Promoted by Sensei Phil Dehart 3rd Dan 9-26-02. Now Sensei Church was promoted to 3rd Dan in American Free Style Karate 9-05. And a 5th Dan in Ju Chikara Do 1-1-06 And a 1st Dan in Matsumura Shorin-Ryu 7-6-07. Promoted by Sensei Michael Adkins 3rd Dan. Church Sensei has studied also with diff weapons in the military. He is a member of United States Martial Arts Association & the American Federation of Jujitsu.Church Sensei studied under Sensei Acie Toler for 3 1/2 years in pineville WV in shotokan karate in the early 80`s.Church Sensei participated in several martial arts clinics studing some shorin ryu Under Master Hamilton, from Penn: Shihan Tracy Cook Beckley W.V. And studied weapons and took part in martial arts tournaments also, Church Sensei studied under diff: Instructors & very close friends in diff. styles from Judo, Jujitsu, Karate while he was in the military when he was stationed in Kentucky, Texas and Germany 3rd/61st ADA & 12TH CAV.. Church Sensei studied at home for years Lifting weights, weapons of all types, waza what ever it took to stay in shape ,because of the type work he was in. He also got tired of all the clicks, who`s who & who you know, not based on what you know. That`s why I like the USMA, & the A.F.J. they treat you as a person, equally treated as everybody. Church Sensei was trained for a warrior, now he`s a warrior for god! Church Sensei has found out martial arts is a every day life study, It is a way of life, Mind, body, an spirit brought together. Just as our christian life should be studied everyday an applied to our life. And not Judge others, be your own Judge. Be as one with God. strive to be an example as Jesus was!! The USMA has a great web site www.mararts.org. The AFJ site is www.amfedjujitsu.com The USMA & The AFJ are both great Organizations. We also support ARM/KFCI Mission Foundation Support Team.All our prayers goes to help them in what ever they may need.Keep on training. And always know courage is not without fear, But having fear & being able to do the right thing to help others or save them in time of need! 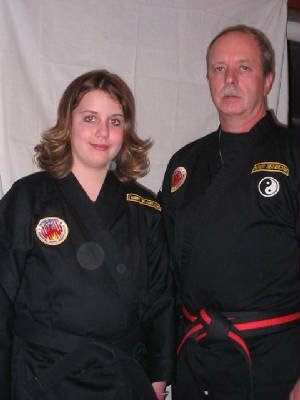 ( Below is Sensei Church & Daughter Rachael ) Pray requests can be left on the guess book or Minister Church can be emailed, we will put them on our prayer chain at your request,First name only please God know the rest.